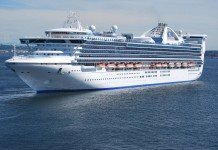 Princess Cruises has released a short teaser video all about Emerald Princess – the ship which as of November 15 this year will become the largest ship in the fleet to ever be based for an entire five-month cruise season in Australian waters. 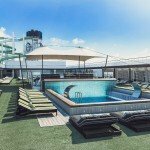 The short clip, which can be seen below, looks at the array of exciting new dining, stateroom and entertainment offerings which will debut in this part of the world onboard the ship. 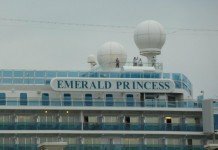 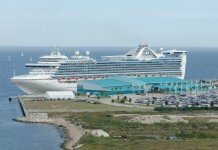 Emerald Princess will make its way down to Australia from its current home in the Baltic via Asia, entering local territory in Perth on 08 November. 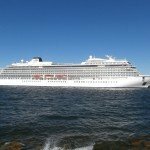 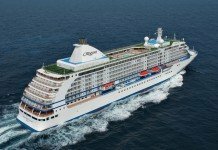 The 3,082-passenger ship will then cruise around the bottom of the country, stopping in Busselton on 09 November, Melbourne on 13 November and then arriving in its new home in Sydney on the 15th. 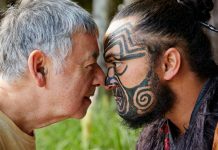 Over its maiden season, the ship will offer 13 cruise departures to New Zealand, the South Pacific and to various parts of Australia, with fares starting at $1,199 per person twin share. 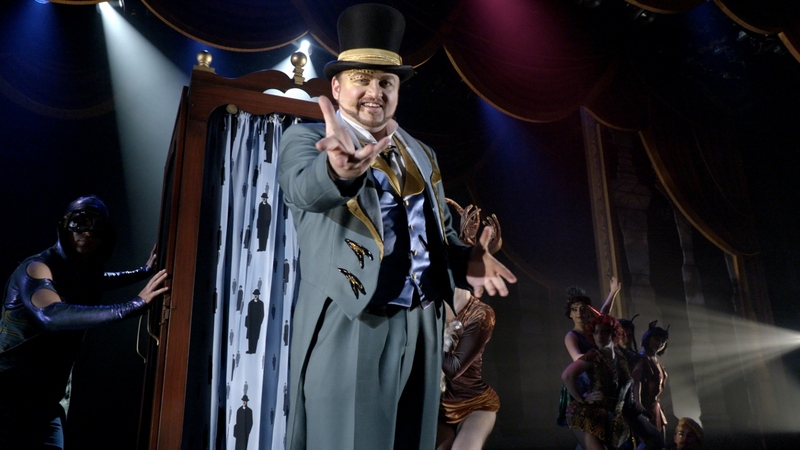 The first of four Stephen Schwartz productions – Magic To Do – will play to Aussie audiences on Emerald Princess. 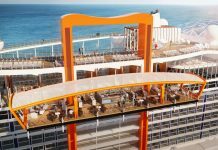 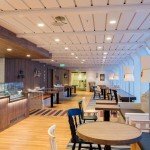 Highlights onboard will be a significantly larger 125-seat SHARE by Curtis Stone restaurant (meaning that two of the three outlets on Princess Cruises ships will be sailing in Australia – the second featuring on Sun Princess and which we recently enjoyed in Sydney. 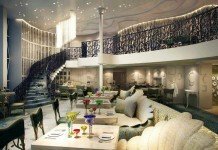 It will feature among 12 dining features which also includes The Salty Dog pub, which specialises in small tasting plates served along with an extensive drinks menu. 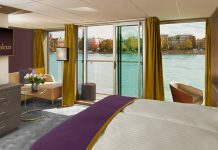 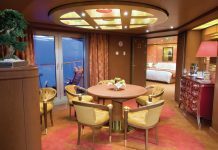 The ship features over 1,500 staterooms, all of which have been fitted with Princess Cruises’ new Luxury Bed. 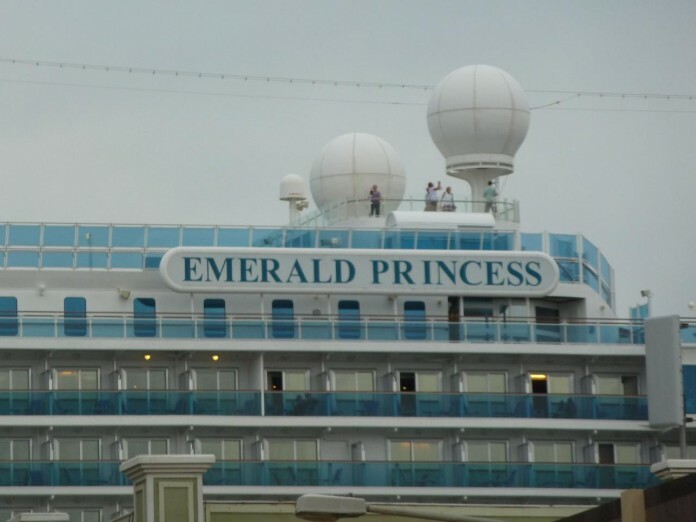 In the theatre, the arrival of Emerald Princess will debut the first of four Stephen Schwartz productions Magic To Do. 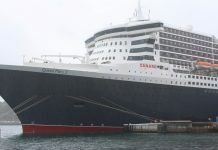 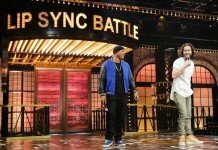 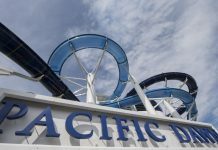 The best singer on each cruise can also be found and celebrated with The Voice of the ocean, a seagoing variant of the popular TV show which sees judges turn their chairs toward their favourite sounds and auditions. 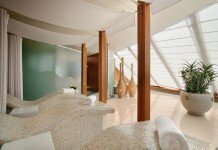 All this along with eight lounges, two nightclubs, four swimming pools, adults-only relaxation sanctuary, Movies Under The Stars and the wellness offerings of the Lotus Spa. Check out the Emerald Princess teaser video here.